This strong, pliable 8" animal armature is the ideal support framework for modeling with sculpting materials that cannot support their own weight. It is made in a horse shape since most animals have this basic form. Our No. 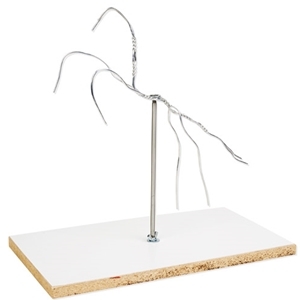 AA8 armature is built of non-staining, non-corrosive aluminum wire with a steel backiron. The steel backiron is fixed and securely attached to a melamine base.